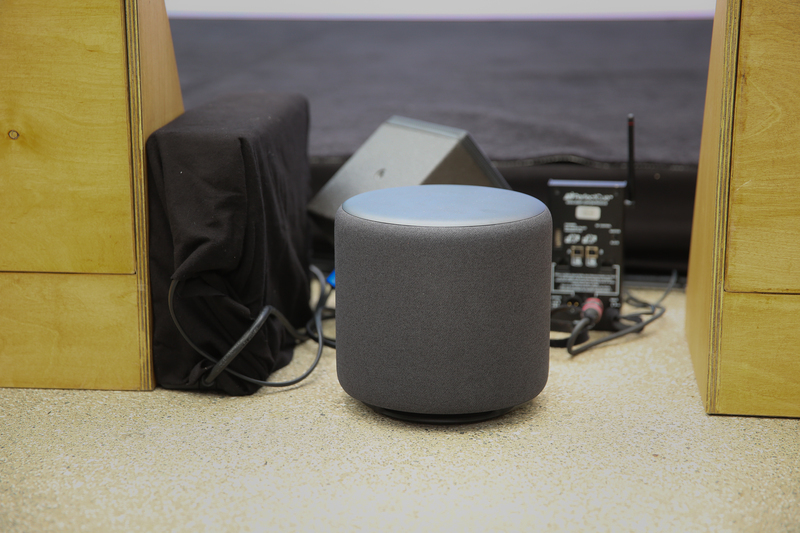 Today, Amazon is adding Routines as a feature for the Echo Dot Kids Edition, which will let parents create custom Alexa commands that their kids can use to trigger music, lights, etc. 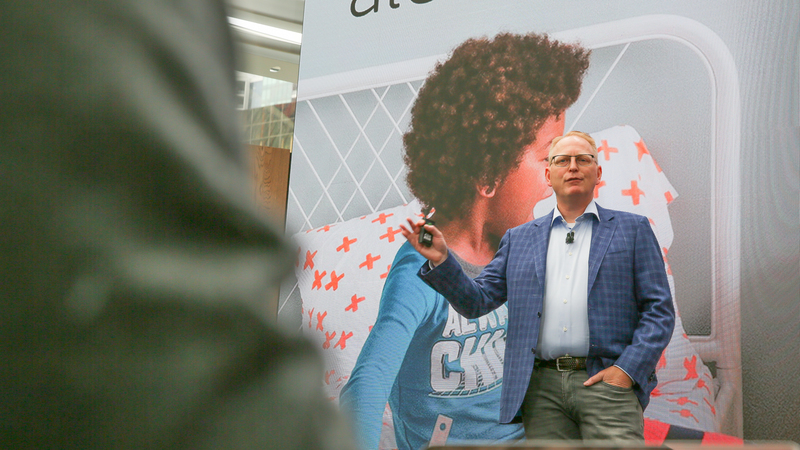 "I would say we've made Alexa more fun." Mentions she's the repository of many corny jokes. I think we're getting to some audio equipment announcements. Limp mentioning how playing music at home got harder and harder with more equipment. 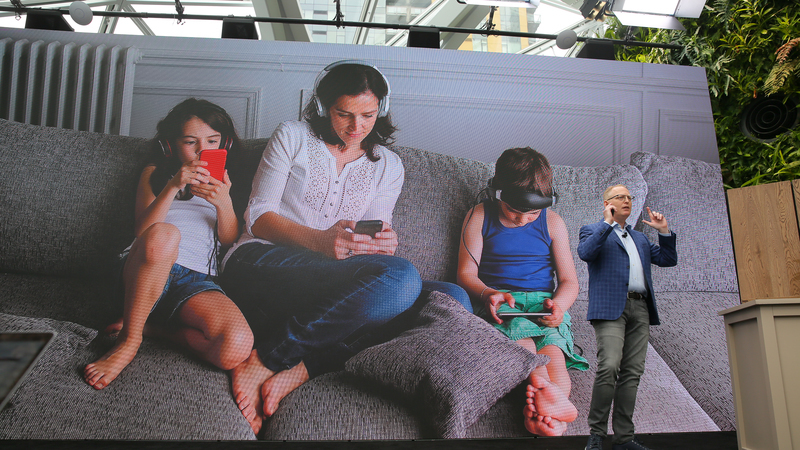 "This is the antithesis of an ambient, communal user interface," showing a bunch of folks on couch on own devices. Positioning Alexa as a simplifier for home entertainment is a smart approach. Limp said music now more communal in home again. 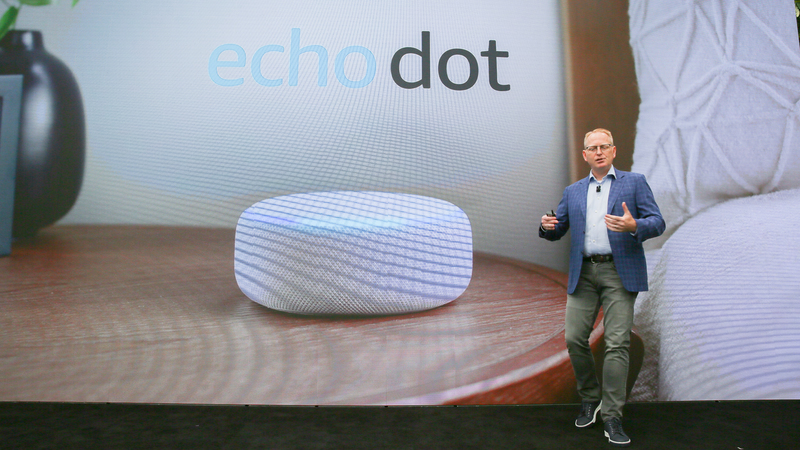 Echo Dot: "This is the best selling speaker ever." "It is a great product through and through." 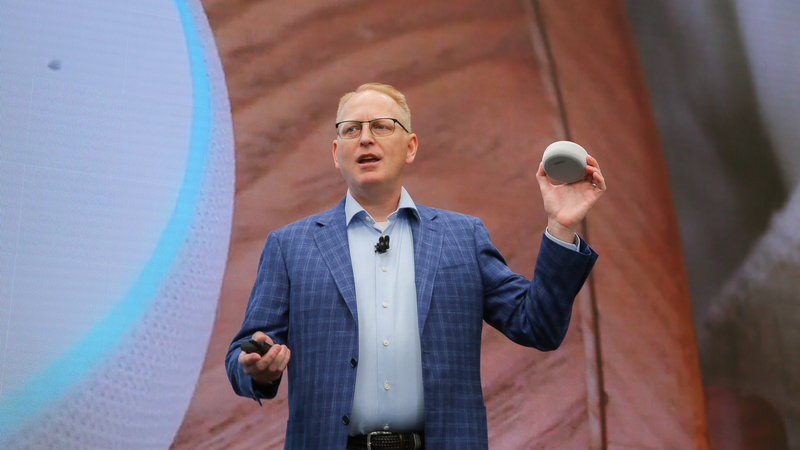 Here it is, a new Echo Dot. Fabric-bodied, comes in multiple colors, more powerful sound. Leaks look to have been accurate. Continue to connect to speakers via Bluetooth and audio out. Price the same at $50. Preorders start today. Still $50. Will ship next month to every country that Alexa is in. It's way nicer looking, no longer a plastic hockey-puck. Photos coming in just a sec -- think the new design looks great. People connecting all these different speakers to the Dot. Amazon wanted to play into that variety, with Echo Input. 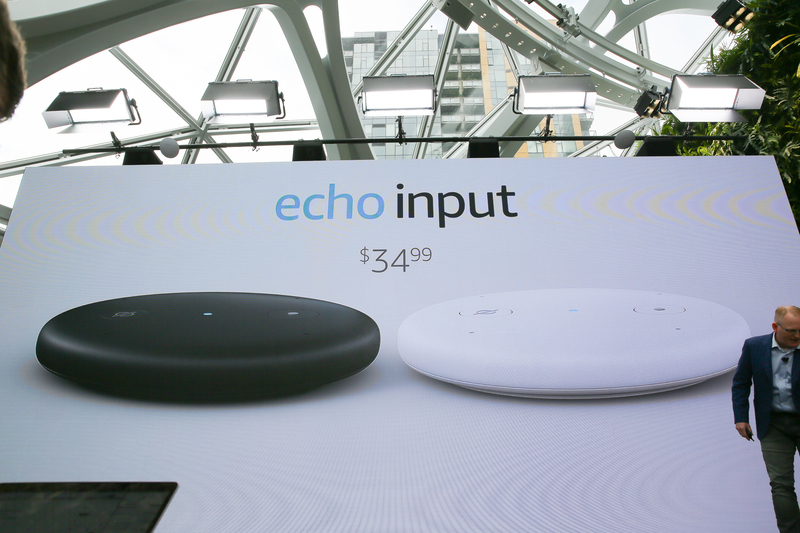 "This is an incredibly thin tiny Echo." Has no speaker. Aha! Second Echo Dot! Called Echo Input. No built-in speaker at all -- designed entirely to be connected to other speakers. Use it to connect to other speakers. Will cost $35, coming later this year to US, UK, and Germany. 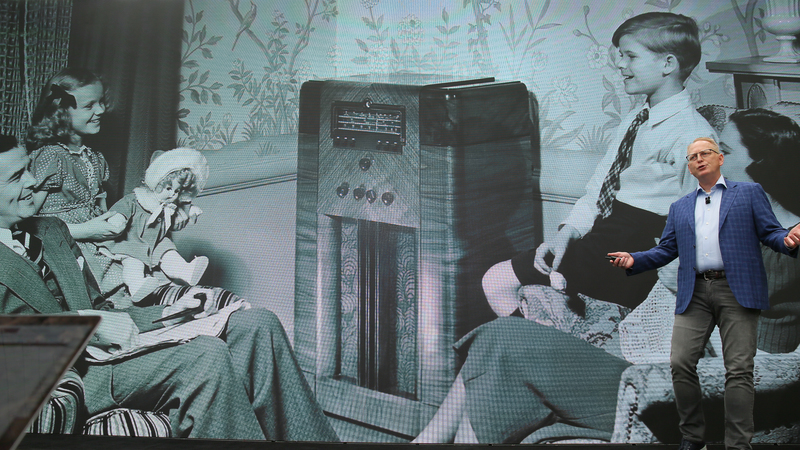 New API SDK to use multi-room capability for third-party speakers. Free for all device makers. 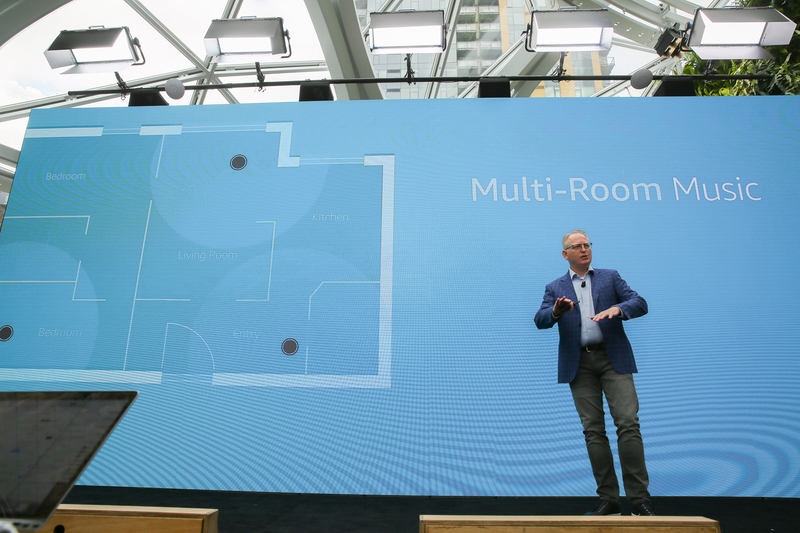 Multi-room already available for Amazon's own devices. 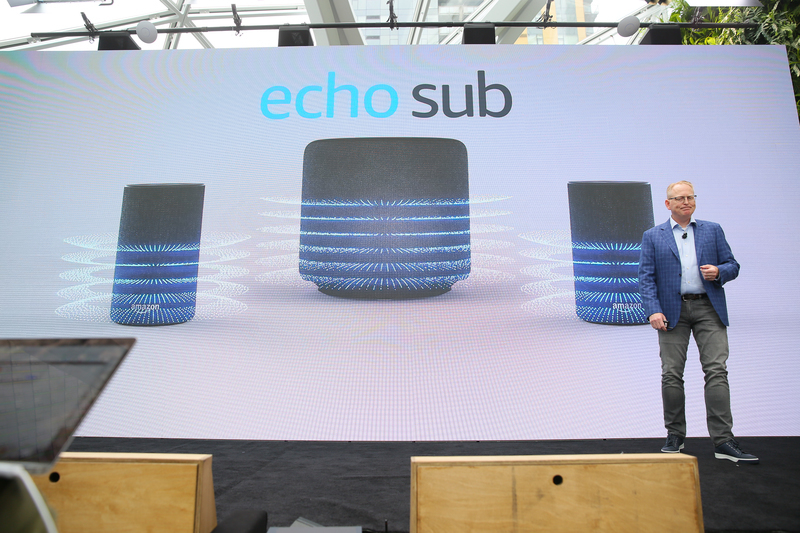 You'll also be able to pair multiple Echoes for stereo sound -- which ties right into the leaked Echo Sub. New subwoofer. "It gives you rich deep sound." Can be used for multi-room audio. Now playing music using the subwoofer. It's pretty bassy. Getting a stereo audio demo with Echoes on the left and right of us. Sub shipping later this month. $130. Preorders today. 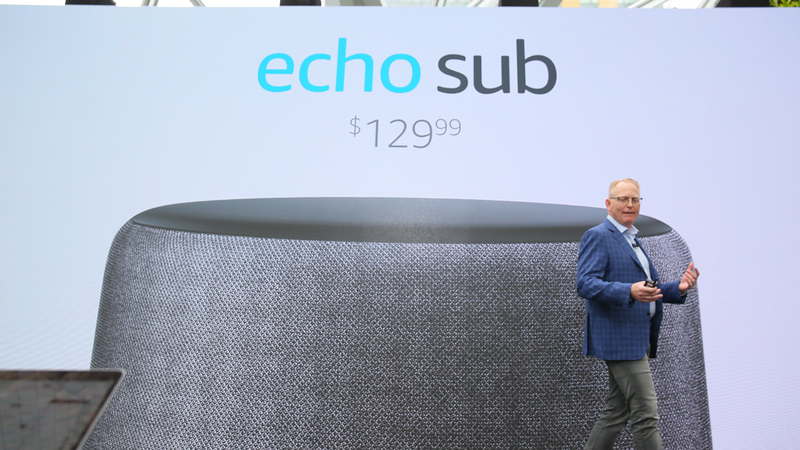 Echo Sub gets the same fabric-bodied design as the Echo Dot. 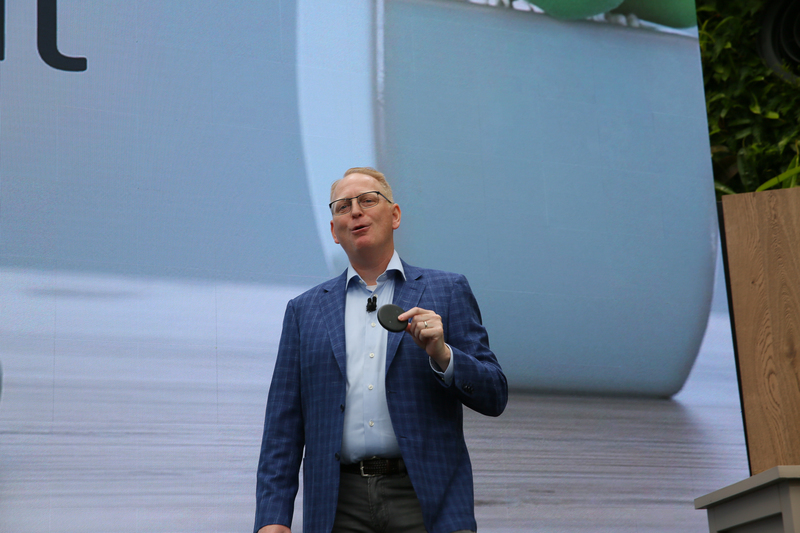 Oh man, we are like 20 minutes in and already announced three million new devices. Echo Link Amp and Echo Link. No microphones, work with other Echoes in home.